Great tool for transcription and teaching! I really love this app. I am learning more and more about it all the time. It is a fantastic tool for both scoring, and teaching. It is relatively easy to learn and great for practicing and sharing files. Please fix this ASAP: When I am setting my tempo I’ll adjust my tempo above 224 and if i hit play it changes my tempo to 224 you should be able to select any tempo you want. Ok please try and fix this. Thank You, Ryan D.
I use Notion iOS and Symphony Pro 5. IMO, these are the best two notation apps for iOS. NotateMe is nice because it has Photoscore built in (mixed results). I didn’t start using SP5 until this recent iPad version came out so I have no history with this app. I came straight from Notion iOS and Finale. Notation apps, by their nature can be confusing at first. IMO, Notation apps are overall some of the most difficult applications to learn. Honestly if I could have my pick I’d want a slimmer Finale/Dorico hybrid for iOS. The 12.9” iPad Pro is practically WYSIWYG. Laying out pages with gestures and the Apple Pencil could be interesting at some point. Anyway, there are some things SP5 seems to do really well. So far it has been the best app at importing MusicXML files. That’s important. The UI has some pros and cons. I feel that Notion iOS’s palette is very logically laid out. It’s nearly impossible to not be able to find the tool you need. I like what can be done on the “paper” area of the GUI, but I feel like the tool bar could be organized better. Initially I was looking for an app on iOS that would allow me to use Schenkerian type analysis fonts and graphics. If not that, then a free form mode where notes didn’t have to stick to the time signature. Surprisingly, I managed to perform some reduction, but not much. 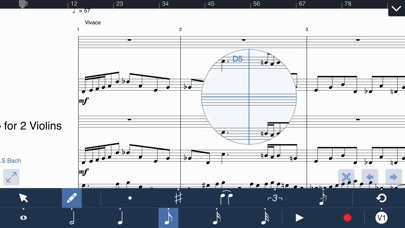 I don’t have much to say yet, (I’ll revise my review at a later date), but there is a lot of potential here and it seems that the developer is intent on building a professional notation app for iOS. For me it must be able to handle orchestral scores, elaborate piano notation (Debussy, etc..). and eventually film scores. I have a feeling that Presonus keeps Notion iOS on life support just because. Komp is a subscription based service. I will never do subscription based apps. Finale has said they’re not going to do iOS right now. Sibelius? No way. All of that said, I’m pulling for SP5 and am going to start making YouTube videos about it. I’d like to see AUv3 Instrument support added so I can use the Ravenscroft piano and other instruments. That’s the future. That’s it for now. Stay aggressive SP5! There’s a whole community waiting to see who’s going to become the king of the iOS Notation hill. SP5 has a chance. Look at Finale, Dorico and Notion for feature inspiration. Easy but powerful. I’ll revise my review once I have more specific things to say. For now, I’m giving SP5 a chance to become my daily. More fun than playing games! 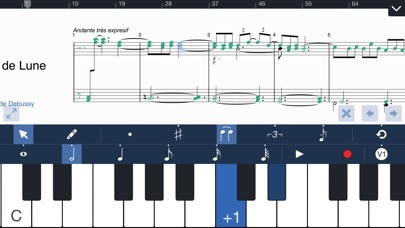 I’m writing my first composition and this app will definitely make it easier. It’s more fun than playing games. The functionality is nice and the app shows a lot of promise but it gets a hundred little things wrong and it ends up fighting. you. all. the. time. When you can get in a groove of note entry then you’re really happy, but you can only enter maybe five or six notes successfully at most before it messes something up, and it takes you 30 seconds to fix it. It’s really bad about inadvertent screen touches (even finger touches while using the pencil are bad) and it loves to drop random notes ten ledger lines below a staff. If it gets the pitch of a note wrong and you go to fix it, what will it do? The same gesture may bring up an edit window, or add another note, or rewrite the note, or do nothing, at random. You can drag to change the pitch but it prefers to change to a non-diatonic note and it’s a real pain to move it the extra half-step. Especially with the pencil you learn to change its input mode all the time to reduce chances of input being misinterpreted. Multi-voice support is wonky. It loves to interrupt your workflow to brag how a feature you didn’t intend to invoke used to be paid but is now free. You get the picture here — using the app is a litany of navigating its bugs and quirks and shortcomings, and you cannot enter a state of flow with it because it behaves so erratically. You use it because you have to. You’re unlikely to be happy with this as your sole notation app unless your needs are trivial. For my part I will use it on-the-go for quick ideas or to do entry of scores I will later clean up in Sibelius on my laptop — an app which for all its oddities I have gained a much better appreciation for now. I don’t blame the developers. 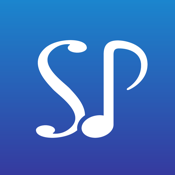 Writing this sort of app is super hard, and the Sibelius and Finale developers have had teams working for years and years, and their stuff costs hundreds. This price is a steal by comparison, but nevertheless you get what you pay for. It is a very impressive package, considering all the features that are built into the app. Was somewhat disappointed when, immediately after purchasing, I navigated to the in-app user manual, clicked on "submit feature request", and the app immediately crashed. When I then went to submit a crash report—the app crashed again. Notwithstanding, I am very impressed with the sheer volume of keystroke shortcuts to use the features—and since I am using an ipad keyboard case, this works well for my needs. However, as other reviewers have noted, the note input method is an incredible nuisance. Compared to what else is available on the ipad, and what reviewers are generally saying about them, Symphony Pro seems to my way of thinking yet the most reliable. All the music notation apps seem to have very compromising errors in their functionality, and not much in the way of signs of improvement (judging by what reviewers are saying, that is). Considering what's available, this is of very good quality. I’ve been using this software for a couple of months now. I bought it for the handwriting feature, and first, let me say I love that it does what it says it does. The Apple Pencil feels a little slidy on the screen, but that’s not your fault, and I’ve mostly gotten used to the feel of it. The sound patches are pretty good - I’ve mostly been using the violin, viola and vcello for string quartets. I’m not positive that playback properly reflects written dynamics, but that may be simply because I haven’t tweaked the settings properly, and besides - I’m using this program for note entry and then exporting to Sibelius for actual playback. This process works pretty well, btw, once you work it out to use File Sharing to manually pass the files back and forth between pad and computer. Importing from Sibelius is not as thorough - lyrics and numeric notation (I-IV-V-I) did not come over on the file I tried. The biggest problem I have with the app is that I rest my hand on the screen to write, as one would on a piece of paper. Frequently in the middle of a measure, I will accidentally touch the control bar that sits at the bottom of the screen, which will send the app into a different mode, or erroneously enter whatever I’ve touched. It seems to me that if you could move that control bar to the top of the screen, that would clear up this problem. Something to think about for a future version. Two other issues - Note Mode and Edit Mode are not as exclusive as they could be - I have entered entire passages using the pencil in Edit Mode, and made edits in Note Mode. A little better separation would come in handy on this feature, and avoid the occasional palm cancel confusion that sometimes comes up. And the Feedback function crashes the app - when I tried to send these suggestions directly to the app it just quit to the main screen on my iPad. This happened whether I selected Report Bug, Request a Feature, or any of the other options that are offered. Keep revising - I think you’ve got a really good thing coming here. I haven’t had the program that long. Entering notes via Apple Pencil or the built in piano keyboard is quite simple and works well. I am using the program to write and arrange SATB that will accompany a male quartet. I eventually learned how to add 2 grand staves to accompany 8 parts. Lyrics are a little tricky and I have to manually move each lyric so the stems do not overlap the lyrics. There is a default alignment tool but the default alignment positions the lyric in the way of the musical notation. It may be me not knowing the program well enough. I may write a further review as I learn more about the program. Learning how to access the multiple tools can be a bit confusing at first but I eventually figured them out after reading the help manual. So far I would rate it 3 out of 5. I may find later that my opinion may change as I learn more about the program. I was looking for an app for my iPad Pro to write drum set transcriptions with. I needed something straight forward, with percussion note heads and without an autocorrect type feature. This app is great because it has a type of “spellcheck” that tells you when there is an issue without changing it for you automatically. I tried several others applications that left me frustrated and annoyed. Symphony Pro 5 is just what I was looking for. I ended up purchasing an Apple Pencil and prefer to use the app with that now. Over the last couple of months I have transcribed several songs and saved myself a ton of time and effort by using this app. Overall, I enjoy using this app. Even if it’s a little time consuming in it’s awareness of my handwriting. My main issue is that there’s no time clock. I’d like to see how long the piece that I’m writing is in order to determine the duration. All it counts are measure numbers, not seconds or minutes. Really glitchy, and regretful for purchasing features to hand write notation with Apple Pencil. Not worth the $19.99. Most functions are easy to navigate after some practice, but still limited for what the entire app offers. So, far I’ve been reading through the help section, trying different commands, etc. And so far I’m totally missing what I thought was a pretty basic feature - lead sheets. I write based on lead sheets. Enter the changes then work on the melody based on the changes. I cannot find anything about lead sheets or entering chords. Guess I’m going back to Band in a Box on my Mac. So far a complete waste of $15. So if you are looking for an easy what to enter chords and compose based on a lead sheet like most jazz players do, look elsewhere! I’m not sure I see the point.. I think this program is fantastic and I’ve been using it like crazy ever since I got it. So easy to use and I can compose anywhere on my phone or tablet. I even prefer it to the computer! The only thing causing heartache is the export to m4a. The recording skips and/or tries to “rush” to catch up, completely messing up the timing. I’m a choir director and the pieces I’m creating are causing my members issues because the recording has the skips and rushes which cause them to question their understanding of the timing. It’s just causing some frustration and additional time to review that really shouldn’t be necessary. I would love to see this aspect improved :) But again, amazing job on this program. Worth every penny!! The app is better to start with than Sibelius and finale are. Highly recommended hopefully it gains traction for further development and potential Mac version. Love it! After about 12 hours, I have really come to enjoy this app. It is well documented, and includes many shortcuts and hints. Good job. Bought it this morning. Crashes. I do like the piano keyboard note entry. But, I do not like the limitation of just one verse for lyrics. I should be able to write multiple verses. I tried a workaround using a text box, but this process is glitchy and I am yet to be reassured that this will actually work as I envision. Also, the visual resolution is a bit blurry/pixelated, and it just gets worse when a file is exported as PDF. Also, I shouldn't be forced to have a time signature. And, why can't I manually place a note, or chord, where I want horizontally, i.e. left or right? Why must it be automatic? Overall, workflow is not terribly user friendly, and strikes me as a bit clunky. I just wanted to arrange a hymn for my church choir to sing, and it's not going very well. First thing: I never expected this to replace Finale. Finale allows me to do more than should ever be expected of a mobile app. What I needed was a simpler, easier, and more intuitive notation software that could be used on the iPad, and that could use pencil input. I got exactly that. You can format most of what you need to the way you want. Drawback: The only serious gripe I have is that I can’t do an instrument-less, single staff format for a song (i.e. for lead sheets). Vesion 5 looks good, but I can’t justify the the upgrade for handwriting input without support for import and export of ABC notation. Also, support for for import/export/open/close via ‘Files’ api would be most welcome. Using iTunes for import is a royal pain. So far, so good. I will update later after using this more. Great on iPad, almost unusable on iPhone. Using this app on an iPad Pro is a joy. For me, it’s faster than any other notation program out there. (I have the most time on Finale.) But the iPhone version, especially on my XS, is a train wreck. The interface can’t seem to stay in any particular orientation, regardless of which way I hold my device. The interface is cut off on the corners. Please read Apple’s interface guidelines for iPhone X+ phones and IMPLEMENT THEM. What? An ADDITIONAL $15 to enable handwriting? After an initial $15 payment? This is a very good app, making it and easy choice coming from Notion app... However, as a music teacher, the need for drum set notation and to a lesser extent Tablature for guitar is a must; I was really hoping to see them as per the developers claim to adding them by “Late 2018” for me this is disappointing. Hope to see these features soon as promised. Peace! Overall, I find being able to hand write very useful and works well. I wish I could also hand write the dynamics and have them convert to type, rather than having to plug them in manually. Same with bowings. The biggest problem I have is when I want to convert to PDF. I wish you could edit the individual parts instead of just the score. That way it could look the way I wanted when it came time to print, rather than hoping the software does a good job for me. Often, I’ll have one measure on a new page all by itself and it’s very frustrating because I can’t edit it once it’s a PDF. I’m going to try exporting it to Musescore and see if I can edit the parts from there. This was complicated at first . However once I figures it out the process became smooth and extremely useful. I recommend this app for beginners and advanced. Specially music teachers. So far this is the most powerful app I’ve used for notation on iPad. It has a bunch of features I did not expect, which is great. I have experienced the app getting stuck a few times, probably because there was a lot going on (was working on a 4 instrument score). Copy and paste sections did not work as well as expected, especially the chords tend to get out of place. Even though I have not purchased the pencil support add-on, I’m using the pencil to navigate and place the notes more precisely. However, using it this way sometimes causes random notes to be placed elsewhere on the score due to my hands accidentally touching the screen, which is a bit frustrating. I’m not sure if with the pencil support add-on it works better. Other than the above, I’m very happy with this app. I know I’m still learning how to best use the app (e.g. for transposing properly, make quicker edits, etc). For my purposes, it looks like this may be on its way to become my desktop replacement app in the future. The midi player sounds are also nice. Great for anyone who likes writing music. I waited awhile to finally get a good scoring program. I had my eye on this one for some time. I upgraded to the iPad Pro with Pencil and finally purchased SymphonyPro. What a great combination. I also opted for the in-app purchase to let SymphonyPro recognize my handwriting. You can use the Pencil without this option, but I particularly enjoy using the Pencil to cut and paste. With just a little bit of time you can make professional looking scores with this software. It’s so quick and easy. For anyone that has used pencil and score paper, you’ll really enjoy this. Mistakes are easily corrected. And note entry is easy, whether you use the Pencil, your finger, or a MIDI keyboard. So if you’re looking for a way to jot down your musical ideas, this is it. As a music composer I use Symphony pro a lot. I’ve never tried other apps like Notateme or Notion. But except for curiosity, I see no reason to. I’ve been using Symphony for a couple of years now and I have no major issues. Maybe some actions like bar edition for instance could be more intuitive, and there’s room for improvement in the way some menu items are laid out, but globally, it’s a great app. Good usually, but bugs since 5.0. Multi buggy. Keyboard will not close in any composition. It stays open no matter what; dynamics and other menus cannot be accessed to add to compositions. Triplet tool is extremely glitchy; it has trouble with things like replacing two sixteenths (in 4/4) with three sixteenths — it also automatically bars separate beats together for no apparent reason. Adding grace notes has similar problems. This was not always the case. Please fix these problems. :) — Long-time Symphony user. I am giving this app five stars because frankly I think it has excellent potential to be the best composition application for the iPad. I hope the developers will read this. I deleted the application earlier and downloaded it again. All of my work was deleted solely because the storage is all done on the device within the app. I, and many other users, would probably be very pleased to see a cloud storage feature added to this app. It would be so convenient to be able to store my compositions on OneDrive and feel safe in the case that anything happens to my device or I want to access my files somewhere else. I love the symphony pro app. It still has some things to work out but it is one of the best music writing apps I've tried. Still learning how to use it but looks promising. I have been using this application for over 2 months and have grown very comfortable with it. It is very powerful and does all I need it. The Apple Pencil functionality works well but takes practice. This app is good, but there’s a big problem. I paid $15 for this app, and it always freezes, glitches and crashes on me. I kind of want my money back. This is a great app, don’t get me wrong... however more often than not you will be starching your head because its just so darn buggy. Its decent but i have had a lottttt of crashes, too many to be excusable. HOWEVER THE ONE THING YOU NEED TO KNOW the handwriting mode looks amazing, but what they don’t tell you is that it is an In App Purchase of $12.99 ON TOP OF the $29.99 app. And to be honest , the handwriting is cool and all on the iPad pro, but not really worth it unless you KNOW fluent music notation going into it. I have tried so many different apps for writing music and this has by far been the easiest and most functional app out there. It’s got more features than any other app I’ve tried. I highly recommend for anyone that is looking for an app to compose music. As of writing this review, I would say that Symphony Pro is still one of the leading tablet notation apps, competing with Notion and, if you like handwriting apps (I don’t) NotateMe. That said, it still pales in comparison to some of the fundamental features of the desktop name-brand softwares. One thing Symphony Pro attempts to do right is its plethora of QWERTY keyboard shortcuts. Definitely a step in the right direction, but still lacking in the most important area - initial note entry. 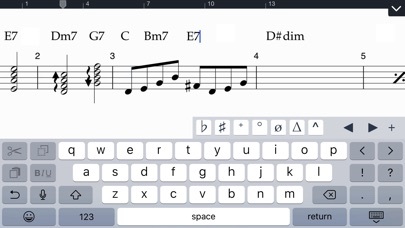 I recognize that tablets are built around the idea of touch notation and handwriting, but a huge game-changer would be adding support for proper QWERTY note entry wherein you type the letter name of the pitch you want and then use shortcuts to tweak the octave and accidentals. This is a central feature that any power user of Sibelius or Finale is used to. If such a feature were integrated, my rating for Symphony Pro would easily be 4 or 5 stars, as no mobile app currently entices me to rely on it for notation. While SP has an impressive range of detailed features, it would offer the most ‘bang’ for its ‘buck’ if it were to improve the way I enter my notes when using a keyboard with my iPad. This app has returned hours of enjoyment and been a creative outlet. The copy/paste editing and note value counting are invaluable. I would never have as much freedom to experiment with manual writing, with erasing, etc. The user interface is a bit fussy at times (on 2nd gen iPad) - I recommend using a good stylus for precision. Haven't tried the handwriting feature, but it seems like it would be imprecise. Unfortunately the new sounds are terrible. The piano is tinny, the cello sounds like a goose with a bad cold, and the violin is an abrasive squeak. It's tolerable, but not very enjoyable to listen to. Otherwise not a bad tool for the price. BEWARE! Asked to repurchase Apple Pencil Ugrade! Developer not responsive to support emails. I still can't submit my compositions to SoundCloud. Please fix it right away! This software is horrible. I waisted $15.00 and hours of time. It will not keep notation that is put in. It changes things that you've locked and it adds things on its own. It is not easy to use. It took me 6 hours to put in 4 measures of music. I had to go back and change things it would change after I put it in. It would add new keys in a measure, it would not keep slurs where I put them. It would add and take away notes. Very poor. I wish I could get my money back. It makes me leery of what I go to next. 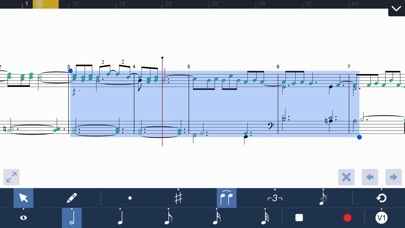 This app is very useful for writing music on the i-pad. Recent upgrades have improved various editing features. It doesn't support micro intervals, advanced articulation marks and struggles with complex rhythms, hence it's not good for Brian Ferneyhough. But it is fine for 99% of classical and jazz arrangements. Really nice working with the i-pen. Unfortunately, while it originally featured some pretty useable, plain sounds, the most recent update abolished them in favour of the cheesy, infantile gimmick sounds known and dreaded from cheap keyboards. The beautiful celesta and old style synth sounds are gone, and the grand piano is unusable, because even if you remove all extra reverb it still sounds like recorded in an empty church from 100 yards away. Why?? Are we all supposed to be toddlers? The app would be useful for professional musicians using a mobile device, but from now on only with muted sound, as a typing pad. Inputting notes singly was really a pain until SP upgraded a version where one can input through A Pencil. Now more than ever i can practice inputting notes and rehearsing my concertos at my pace. I enjoy the process of learning and performing. My teacher says it’s great that i found a useful tool. Thanks SP. I haven’t spent enough time with SP5 yet to give a fair review, but I have run into two problems. First, I’d love to be able to write out the tab first, and THEN it transfers to standard notation. Rather than the opposite or using the manual input with the guitar fretboard. Second, I am not able to export audio for some reason... I created a simple guitar tab chart with standard notation for a student and can’t export the m4a. Once these issues are fixed, I will leave a proper review. I have both Finale and Sibelius. This app is great! I love the guitar tab feature and the guitar fingerboard entry method. Great for guitar music. I also use the keyboard entry method when arranging for the piano. Handwriting recognition is pretty good, but not awesome. Maybe I just need to understand how to work it better. But I do use it for voice. The app is powerful enough that you should spend some time upfront to go through documentation to get the most out of it. The manual is quite good. I have version 5, which is quite mature, I think. I think this app is easier to use than Finale and Sibelius, though not as powerful, but powerful enough for me in most cases. So far, I like it better than the other two, and think that I will be using this most the time from now on. I compose a lot of Music. Notation is something I used to do on paper. I have been using several Sequencers (Genome is one of the best) and I have used Notion 6. As of writing this I am still on the fence as to which one will work the best for me. Currently I find entering and editing notes seems a little bit easier and more intuitive in Symphony Pro 5. I think a user interface that would utilize a grid to enter notes (similar to what is used in Genome would make this an automatic 5 Star App. A forward button set at either 8th or 16th etc along with the ability to enter notes using a midi keyboard would also be great. Keeping in mind that this is an app on my iPad, not on a desktop or other computer, this is great. 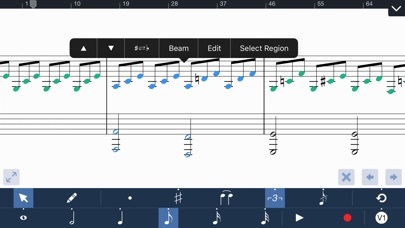 Being on an iPad makes precise clicking difficult, but the app allows zooming and a selection tool that you can slide up and down until you find the correct note. It seems like the developers realized some of the issues and worked with it. Unlike some free apps I’ve used, this one knows basic music theory. Such as accidentales carry through the whole measure, and if the piece is in 4/4 you can’t have more than 4 beats. That’s great and saves me from a lot of headaches. It has all of the symbols and markings that I’ve needed and the playback is decent, considering it’s a computer playing sounds and not a real musician. I find this very useful. I can be creative and learn about music and it’s stress free and confusion free controls and options really make it enjoyable for me. I can’t see why, from my amateur composer perspective, anyone wouldn’t find this useful and/or satisfactory.